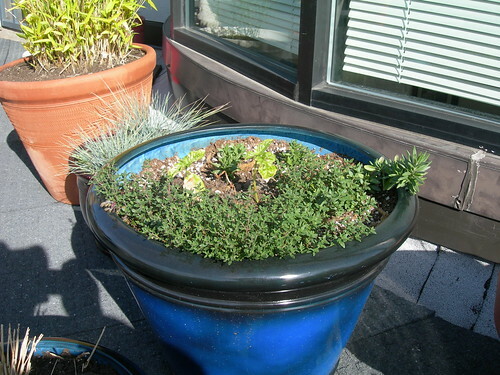 Gardening magazines often suggest putting multiple plants in one pot for design. That always looked sharp to me, but I was worried about crowding them and choking off the roots so I never did it until this year. I am thrilled with the result. I've never gotten gotten Lavender to flower quite like this. And I'm amazed at how soft and downy the Thyme plants feel. 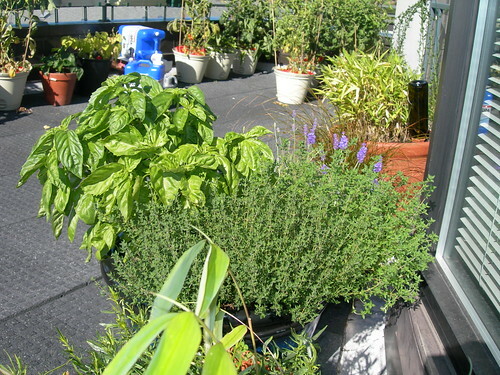 The Basil is thriving, too. The GF tells me that it kind of went a little crazy this week so I may be doing some pruning/harvesting this weekend when I get home. It's pesto time! I'll definitely be doing more of this type of planting next year. The pots looks great! I don't have much of a green thumb. 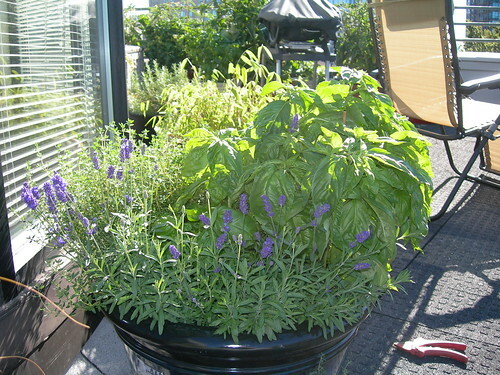 Gorgeous, I love fresh herbs. Very nice, what time's dinner...I love pesto! 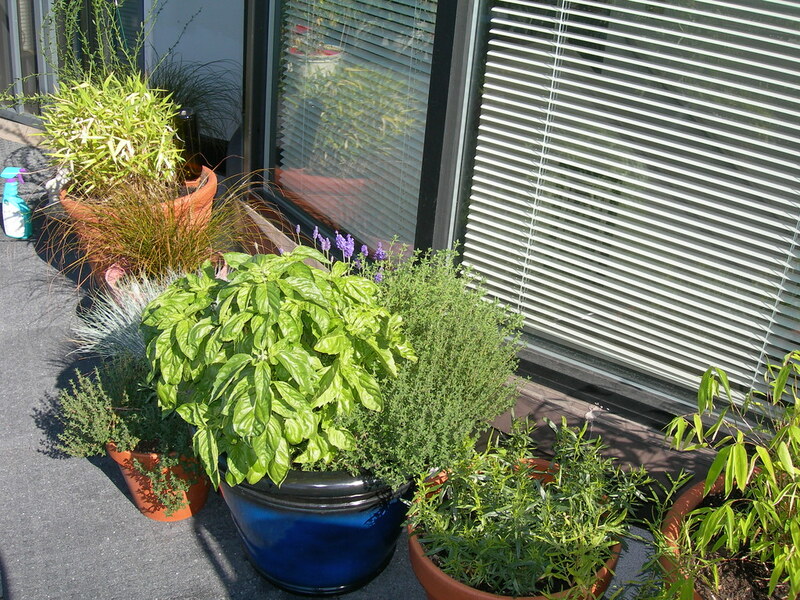 I don't do too well with pots, back when I had a garden I had lots of herbs; then got away from that and just do flowers now...lots and lots of flowers. @Stacie: Thanks. This one has actually been fairly low maintenance. @Garden Gnome Wanderings: I've grown lavender in doors for a couple years, but never got it to flower like this. @dddiva: It's surprising the difference they make in the flavor. And the texture is so different from what I get in the store. @Sandy: I have a few aesthetic plants, but I just can't get into flower gardening. They look fantastic, but some element of my personality insists that if I'm going to put that much effort into it, I want something out of it. Like food.